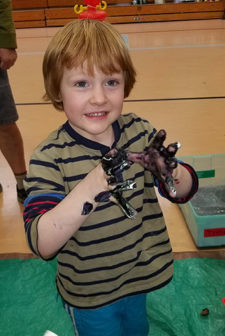 Messy Me returns for even more sensory-engaging fun! We’ll play around in the elementary school gym with different sensory bins filled with mediums such as water, kinetic sand, and slime! Meet us April 26th from 2:30-4pm, this activity is free and is meant for children ages 2 to 5 and their chaperones. For more information, visit our website, www.islandrec.org, drop by our office; 580 Guard St, Monday-Friday 11am-5pm, or call us at (360) 378-4953.